GlouTwp. Fall Tennis is CANCELLED for today, 10/22/2016, due to rain, wet courts, and a forecast of no sunshine and more rain. We will now follow our RAIN DATE schedule. Session 5 will be held on 11/12/2016. Recently I received comments from a parent expressing concern over the combination of age groups 5-7 and 8-10 in the same session. Always being one to face feedback head-on, I felt the need to shed some light on the how and the why of this adjustment to our tennis instructional strategy. As you can see, there is always more behind the curtain then one realizes. 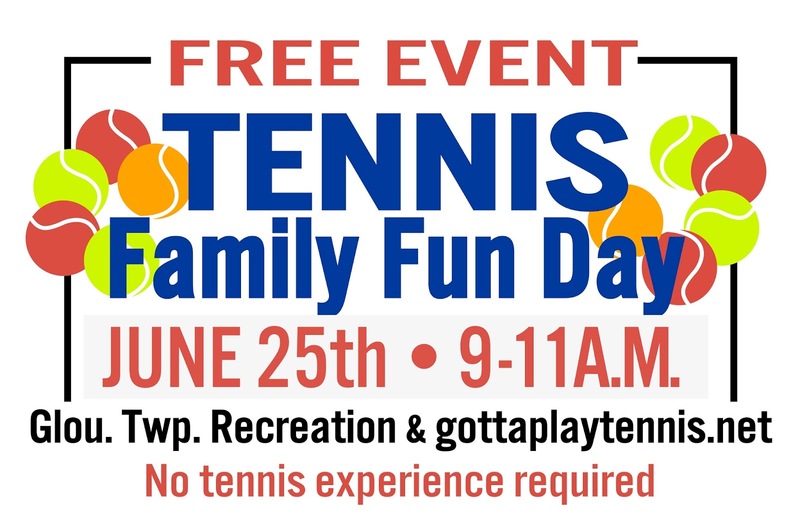 In order to provide family friendly, award-winning programs such as Gotta Play Tennis Kids in a community setting, we need the support of all of you! 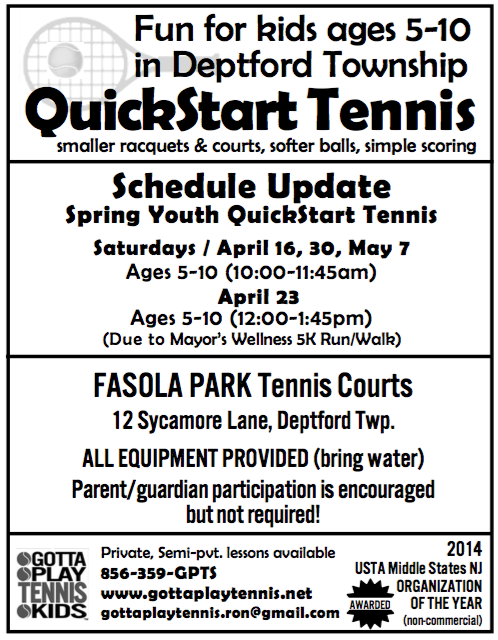 Parents and guardians are our most valuable asset in spreading the word of tennis to other families. 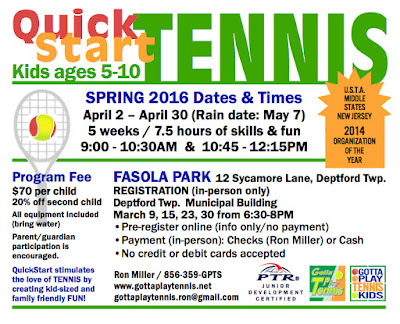 We have worked hard to keep our program fees very competitive for kids activities. 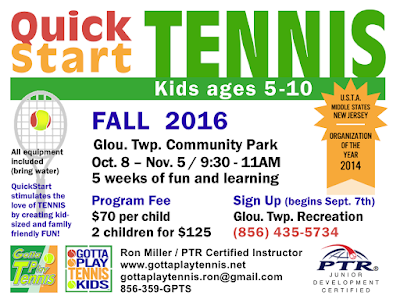 For example, if you chose to attend a QuickStart program at a tennis club, you would find the cost of the program to be double our registration fee for less time and no parent involvement. 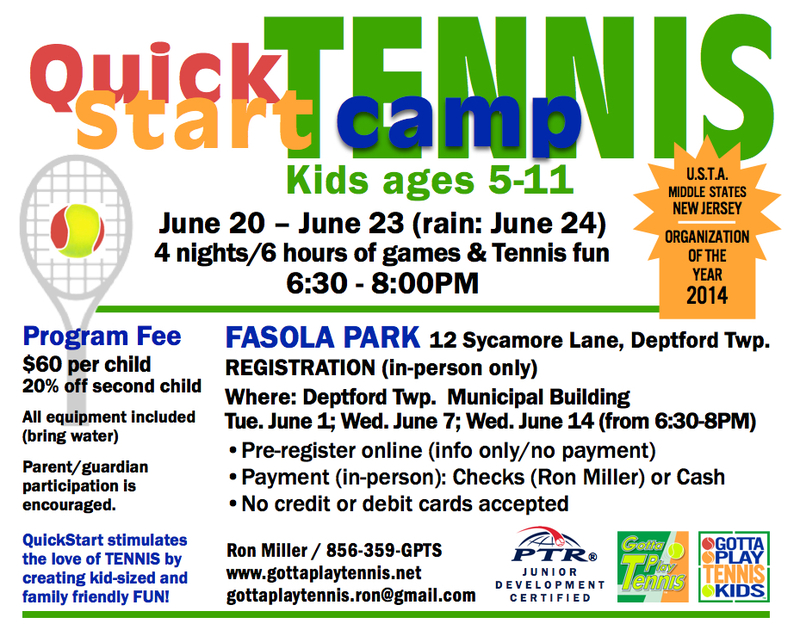 We are very grateful you decided to have your child (children) get involved with our programs and tennis in general, and we hope that you will continue along with them as you both develop your skills and enjoyment with this great family sport. 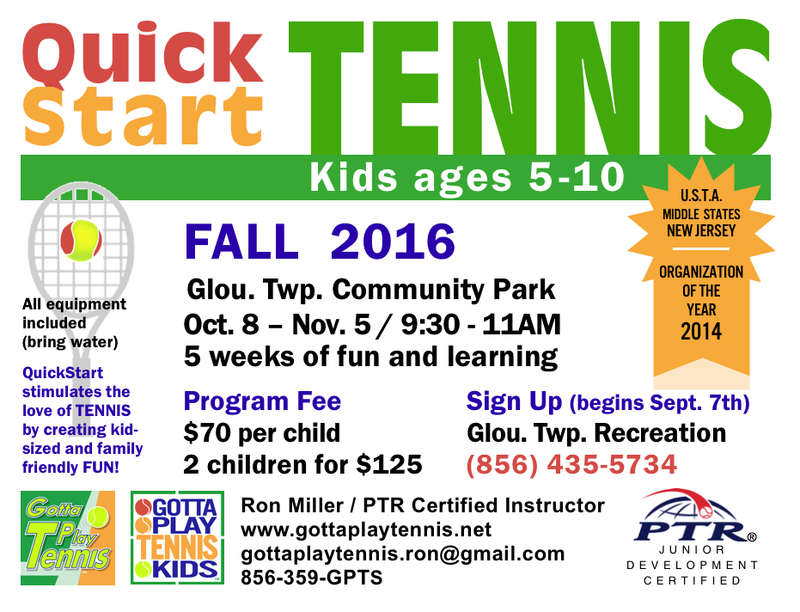 NEWS: Fall QuickStart Tennis alive and well! Peter Cheeseman & Hickstown Rds. We look forward to seeing everyone as we finish up our QuickStart Summer 2016 session. Week 4 will resume on August 13th. 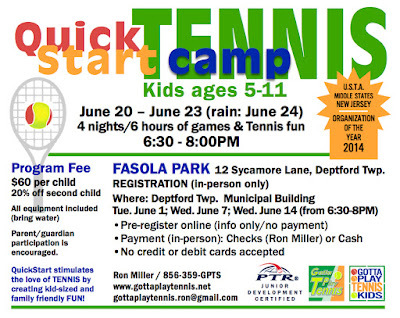 Thank to the rain-out on night 4 (June 23rd), we will reschedule the session for Tuesday, June 28th (weather permitting). The time will be our usual 6:30-8PM schedule. If the rains do come, and we need another date, other current commitments force us to wait for another attempt in one week, July 5th. 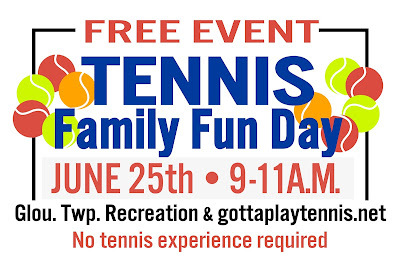 Today's session (5/7/2016) is cancelled due to inclement weather, saturated courts and yet another projected rainy forecast. 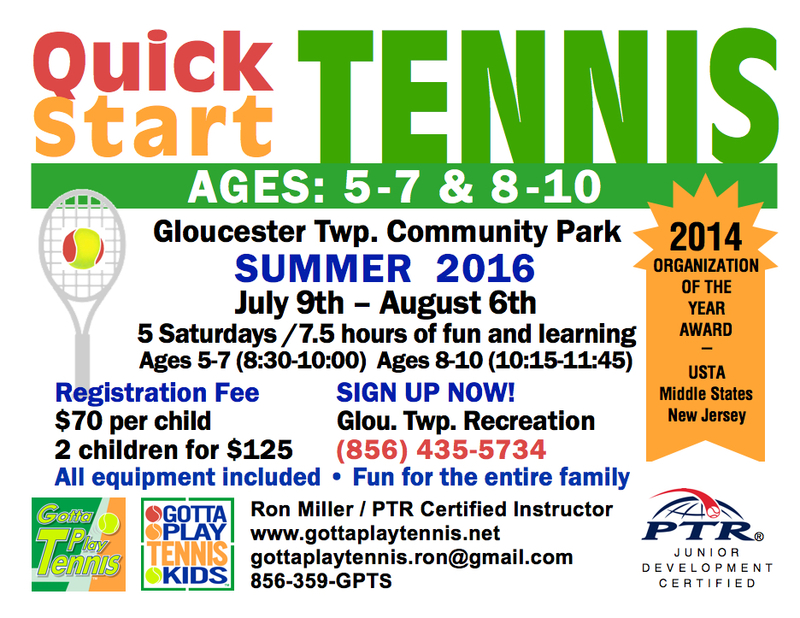 As already explained, we are providing additional dates for our upcoming Summer Tennis Camp to Deptford Twp. 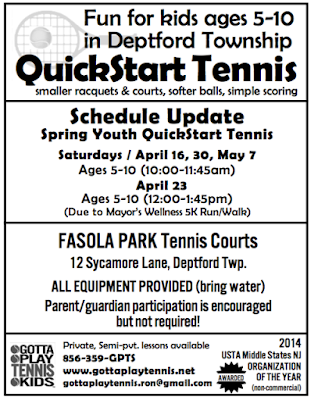 registrants of our Spring QuickStart Tennis program. Families will be contacted by email with more details. We once again apologize for the inconvenience of the evolving schedule. 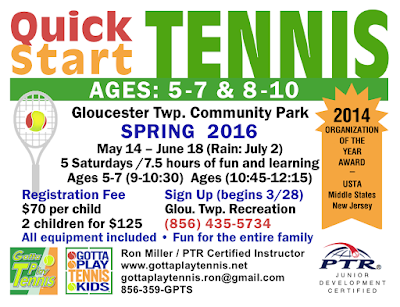 Today's session (4/23/2016) is cancelled due to inclement weather and a projected rainy forecast. We will continue to follow the rain date schedule, and we are developing a solution to provide you with additional time not reflected in that schedule. NOTE: We will inform you of what we can provide as soon as a plan is developed. 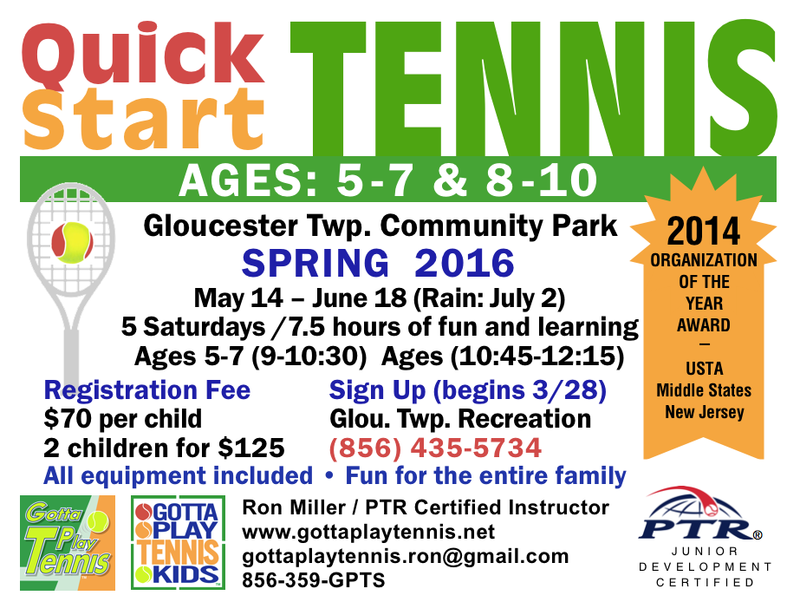 Today's session (4/9/2016) is cancelled due to inclement weather. We will continue to follow the rain date schedule. NOTE: Having already used the one rain date built into the schedule, we will add 15 minutes to each session for the next 4 weeks. 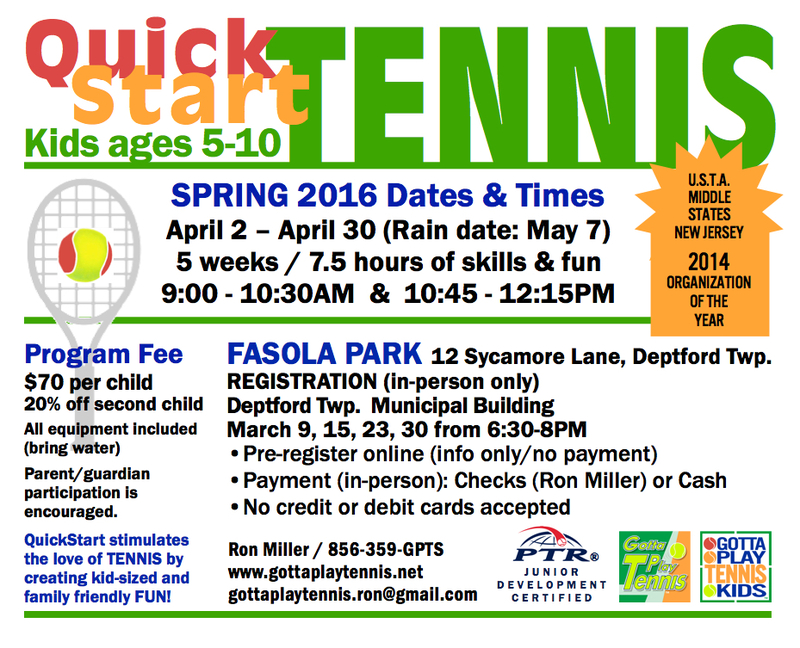 Today's session (4/2/2016) is cancelled due to rain. We will now follow the rain date schedule.